Ready to sell your house in Torrance? You will likely have many decisions to make on this journey. Learn more about the mistakes home sellers can avoid before selling their house in Torrance! There are many things that you will need to consider when selling your house. Many sellers often make the same mistakes, but there are many ways to avoid making them yourself. The first step is knowing what those mistakes home sellers can avoid easily with a little planning. You don’t have to list your house in Torrance on the MLS to sell it. In fact, you can choose to sell it yourself either on the market to traditional buyers or directly to an investor or to a professional home buyer like The Shenbaum Group, Inc.. What works for one home seller may not work for you and vice versa. Before you call a real estate agent, take a look at what and who is available to you. This is one of the biggest mistakes home sellers can avoid easily. 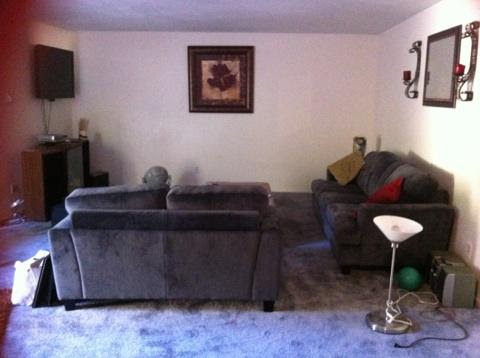 Learn more about what we can offer you for your Torrance property. There is never any obligation and there is especially never any pressure from us. That is not how we work. If you choose to list your house on the MLS with a real estate agent, one of the biggest mistakes you can make is pricing it too high from the start. Many sellers have an over-inflated price in their head, trying to get as much as they can, without considering what will be a realistic final sales price. Even worse, some agents will advise you to list high so they can convince you to list the house with them, while they take a shot at scoring a higher commission. Either way, the agent has nothing to lose because they get the 6-month listing agreement and the opportunity to get a higher commission. If the house doesn’t sell and you need to reduce the price, the real estate agent still has the listing and will eventually make their commission, even if it is a little less. Imagine if you were looking at your own property but as a potential buyer. You wouldn’t want to see someone’s vitamins on the table, family photos everywhere or a stack of mail on the counter. Seeing personal items strewn around the house can make people feel very uncomfortable. They need to be able to imagine themselves in the house, not feel as if they are intruding on someone else’s space. It is a great decision to pack up everything except for your necessities and put it all in storage until the house has sold. You want to give people a neutral view of how they would be living in the house and clearing the clutter is one of the best ways to do that. If you decide to list your Torrance house on the MLS, there are many costs to consider that you may have forgotten about. Not only are there real estate agent commissions, but there are also escrow and title fees, administrative costs, marketing costs, listing fees, termite fumigation and repairs, buyer credits and repair costs. All of these can be avoided with a direct sale to The Shenbaum Group, Inc., as we don’t charge any of these fees or costs. In fact, we pay all the seller’s closing costs, so you really don’t pay for any fees at all. Not doing some repairs up front can absolutely cost you down the road. Once your buyers do their inspection, they will often ask for a number of things to be repaired or even replaced. You might be caught off guard by the number of repairs your house needs. Some sellers choose to have their own inspection done before listing so they have an idea of what may be requested of them. Addressing these issues up front will save you time and money down the road. Some buyers are so rattled by the extent of repairs in a home inspection report that they back out of the sale. Then you are back at the beginning of the sales process by having to relist the property. And to top it off, a new set of buyers are going to ask why the house fell out of escrow and you are obligated to tell them why. Or you can always simply sell to The Shenbaum Group, Inc. as-is. These items will come back to haunt you. Either in the home inspection or when the new owner sues you. By law, you have to disclose what you know about the property. So be transparent, provide all the information you have and you will avoid major issues in the future. While we all know that kids and pets are wonderful, not everyone has them, especially potential buyers. Some people will feel uncomfortable if there are chew toys on the couch or toys all over the floor. Remember, the experience you are trying to create is for the buyers. Again, make these areas appear neutral but feel welcoming. This is strictly business, as they say. If someone comes to preview your house and you hear them say they want to pull out the beautiful garden you’ve grown to add a deck, don’t get too upset by it, especially if they plan on paying you the price that you are looking for. While you might feel a bit emotional about it, this is business, and missing out on a qualified buyer because of something petty can be a huge mistake. This is a tough rule to follow but can make the biggest difference in the ultimate success of your house sale. It can be easy to hire the wrong real estate agent. Some are full of personality and charm and some are great at sales. This is great when they are trying to sell your house, but they also use this charm to convince you to sign with them. Make sure they aren’t making any false promises or are only concerned about their commission. You can look at reviews, but it is best to hear first-hand experience from people you know and trust. You simply aren’t going to click with everyone either. You might find the top agent in town can be incredibly stressful to work with. Talk to at least three agents or more, until you find the one that is right for you. Yelp, Zillow and Redfin are great places to find agents with great reviews. The Shenbaum Group, Inc. will provide you with the information you need to help you decide how to sell your house. There is never any pressure to sell or any obligation when you give us a call. As professional Torrance home buyers, we want to work with you to help you make the best decision about how to sell your house! 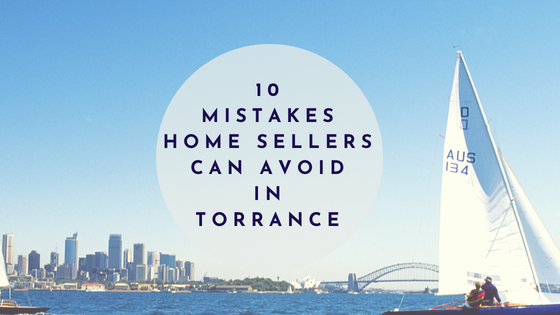 Hopefully, Mistakes Home Sellers Can Avoid In Torrance was helpful to you. Please reach out if you have any questions.